JustInvest is a family business, established in 1967, with two offices - Perth and Dunsborough. JustInvest's core belief is that investors don't have to compromise their ethics when investing, and that all Australians should be able to invest in line with their values. 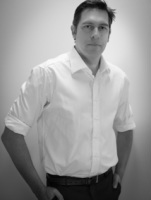 James worked for Professional Investment Services in Perth before heading to the UK from 2003 until 2005. During his time in the UK James worked for CoreRatings, an Ethical Ratings agency which assessed material impacts of Environmental, Social and Governance (ESG) issues on a range of large companies. His role incorporated dealing with fund managers across Europe. On returning from the UK, James worked for Asgard Capital Management, consulting to Financial Planners with a focus on financial strategies and educating clients. James joined his wife Julianna in the JustInvest team in 2007 to specialise in ethical investment and financial strategy advice. James and Jules are the proud parents of three young daughters.